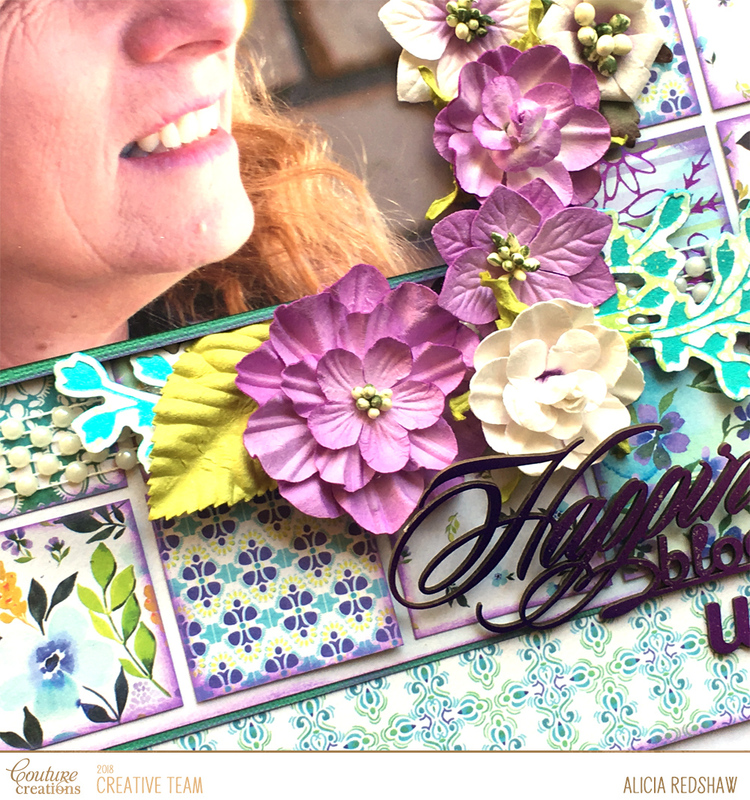 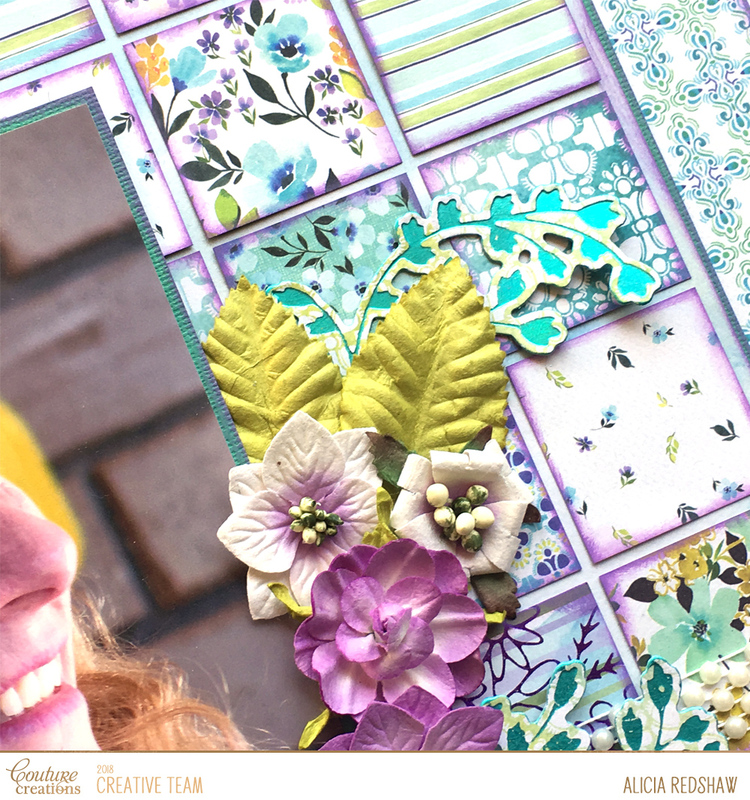 Hi and welcome to my post today where I have used the fabulous new Le Petit Jardin collection to create a Scrapbook Layout featuring my Mother-in-Law, Rhonda. 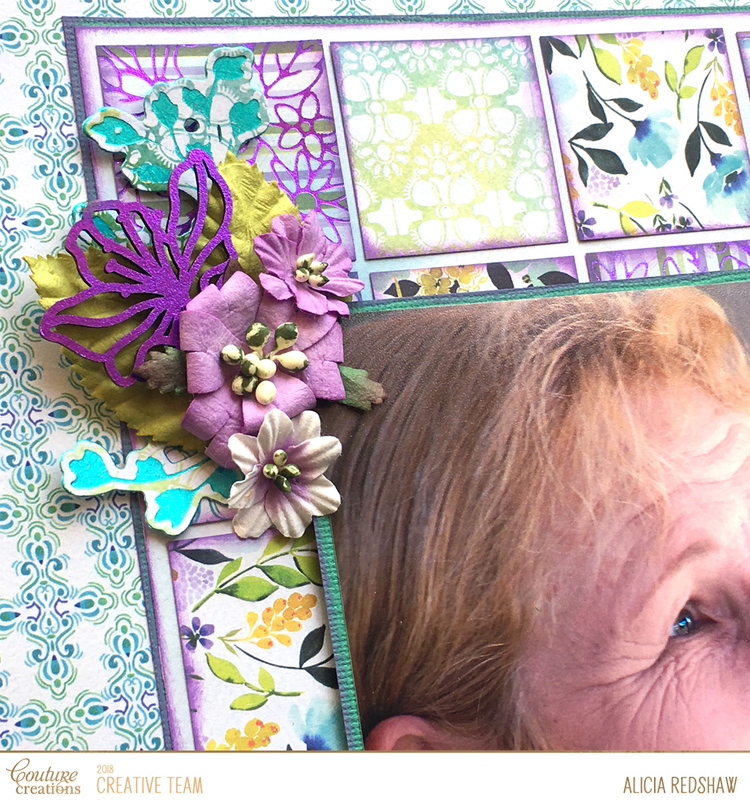 I love the mixture of patterns available in this collection which works perfectly with my favourite go-to Patchwork background technique. 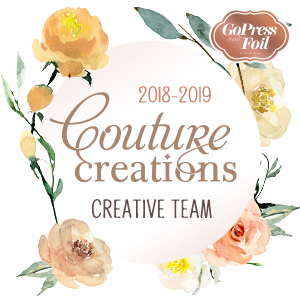 I even created an additional pattern by foiling the Floral Arrangement Hot Foil Stamp onto Patterned Paper #2 with Purple Pastel Heat Activated Foil. 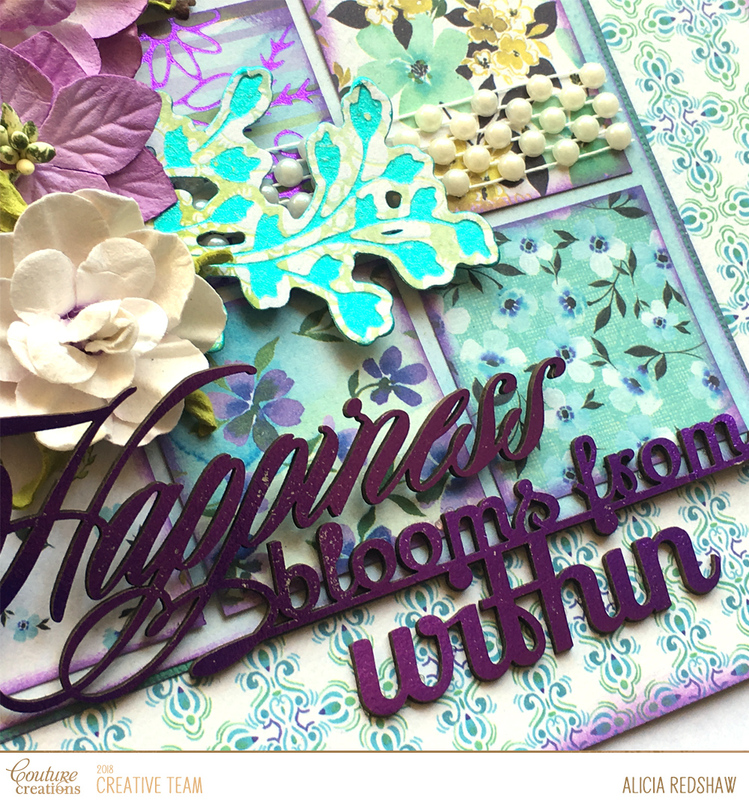 I have also used the same Purple Pastel Heat Activated Foil on the Chipboard title and the open flower that came with the title. 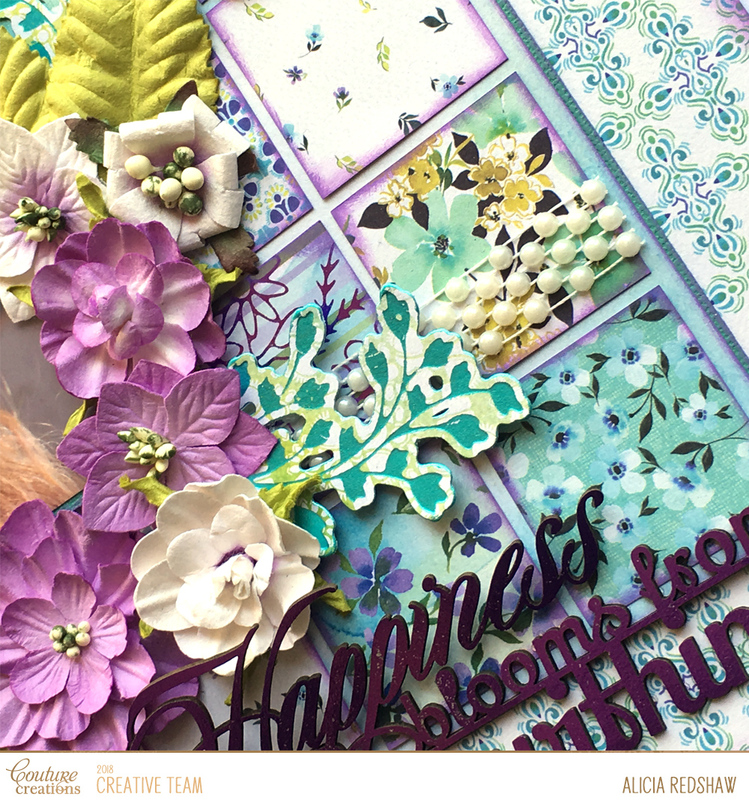 I found that edging the elements with Purple, and adding the Purple Hot Foiled elements and Flowers gave the layout a softer more feminine feel. 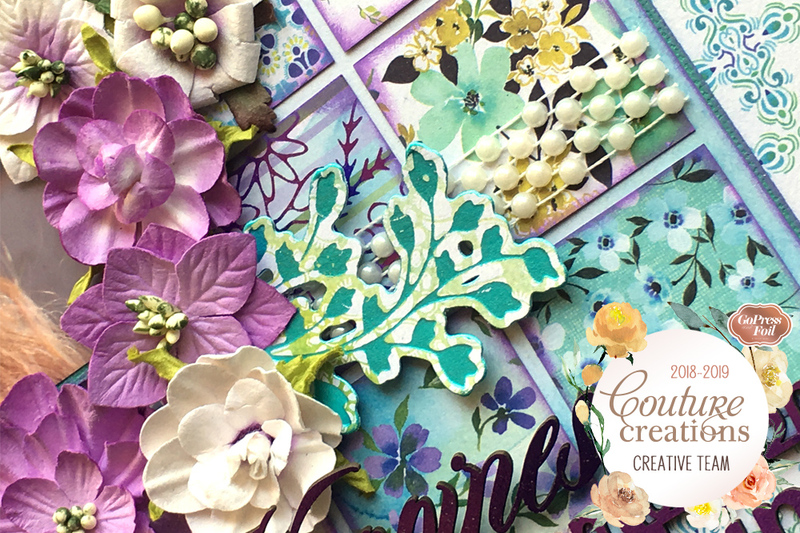 The leaf sprigs have been created with the Lavish Ballroom Young Stems Cut, Foil & Emboss Die in combination with Blue-Green Iridescent Heat Activated Foil.